Humans as we know them have only existed for a little over 10,000 years. Plants on land have existed for about 500 million years. 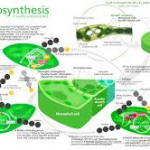 They utilize a process that originated about 3 billion years ago, called photosynthesis. This proves a useful survival technique, as they can convert water, CO2 and sunlight into sugar (for energy) and oxygen (their waste product). We go over the process in a little more detail here. This process involves taking electrons from water molecules and giving them to carbon dioxide molecules. Chemists call this an “oxidation-reduction” process. Plants do this to create chemical energy from solar energy. Plants have perfected this amazing evolutionary ability over millions of years. Also, its byproduct oxygen made it possible for human life to exist. If you’d like to have a tree planted in your yard, Integrity Tree Care can help. To learn more about our services, please give us a call at (817) 714-1777 or (214) 971-1618.